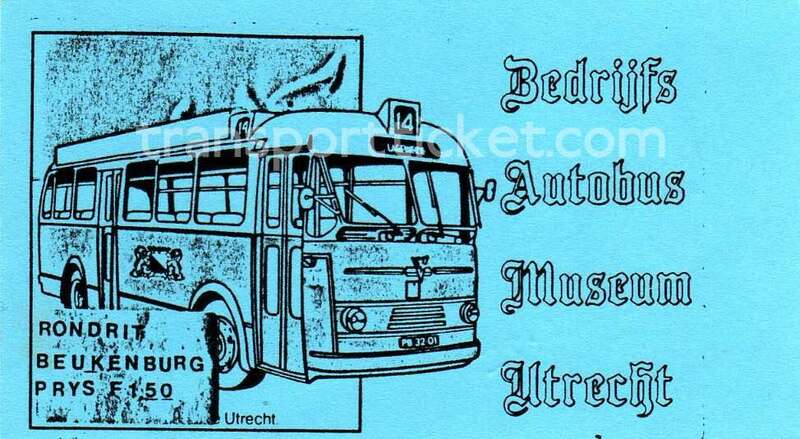 Bedrijfs Autobus Museum Utrecht (BAMU) was founded in 1988. BAMU offered rides through the city of Utrecht (The Netherlands). The museum buses could also be hired. The museum was closed in 1996. The blue ticket was for a ride around Beukenburg estate in the Netherlands. The ticket depicts GEVU 101 which was built in 1954. 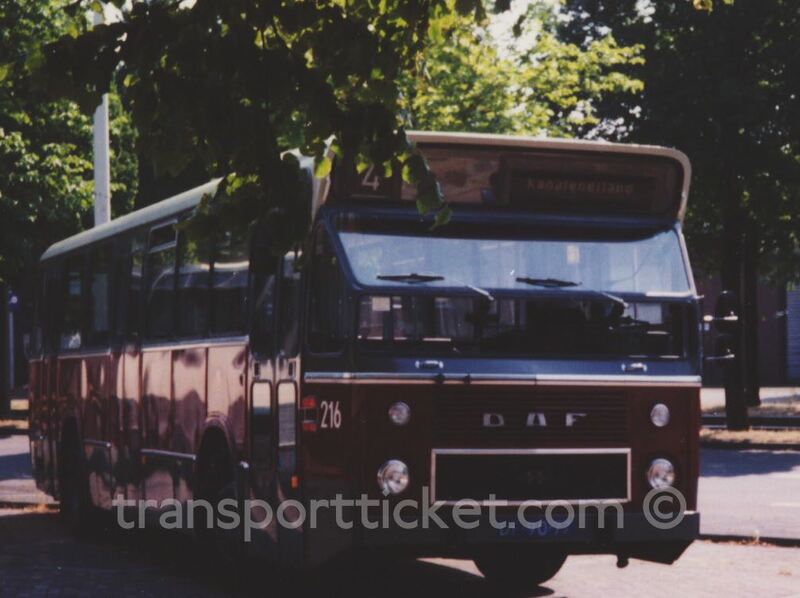 This bus was scrapped in 1971. It has never been a museum bus. 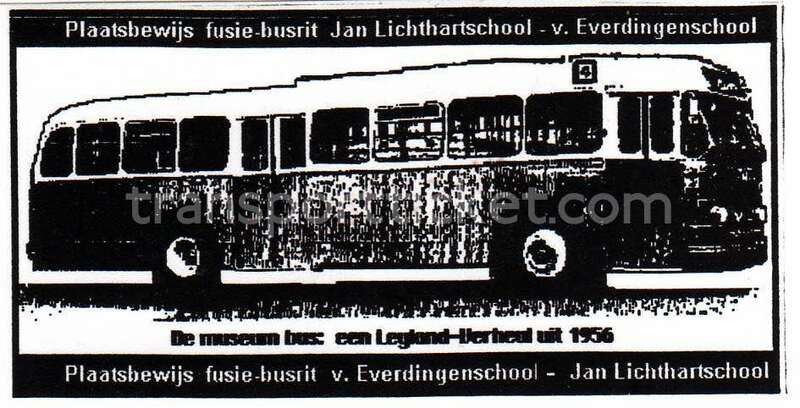 The black and white ticket was for a (special) ride between two schools in Bilthoven (near Utrecht). The two schools were merging. Depicted on this ticket is GVU 27. Both tickets are issued around 1995. BAMU had several buses. Parts of GVU 31 were used to keep GVU 27 roadworthy.